Zaki Ibrahim. Photo via Facebook. 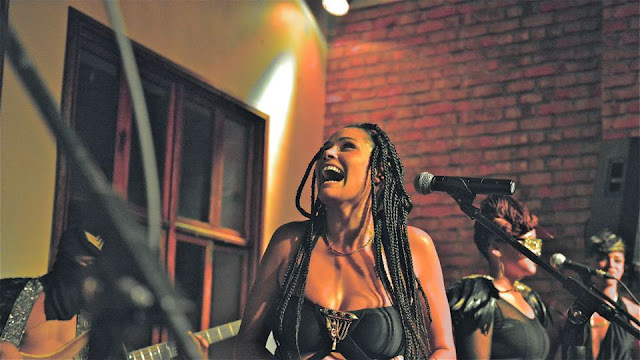 Everything about the Vancouver-born South African artist, Zaki Ibrahim is fabulous - her style, her rhythm her lyrics, and her music - it's all perfect. I've featured her song "Heart Beat" as an Afternoon Afrobeat on here months ago, and now I'm back again pulling a new song from the same album, Every Opposite. Her music has elements of a little bit of everything: from house, to hip hop, to soul, to indie, to spoken word, and even to pop. A remixed version of Zaki's song "Conjure" popped up on my SoundCloud the other day and I loved it and thought I'd share it for those not-yet-but-soon-to-be Zaki fans who read my blog. Happy listening!